Here is the fanciest girl’s dress I have from my grandmother. It is hard to put into words. I think I can date it because of the size and my grandmother’s birth year. The construction is amazing. It is quite an accomplishment that everything fits together. The crossed panel is a separate piece except where it is bound with the neck. 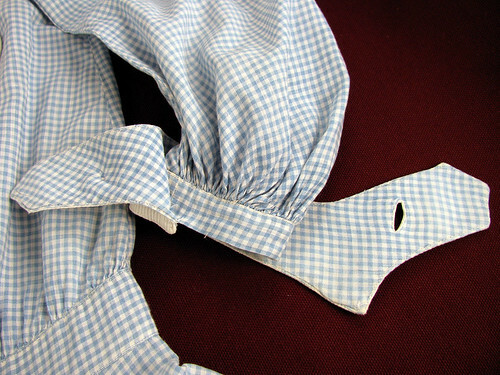 The inner collar is completely finished separately and then tacked in place, as are the cuffs. There is a triangular panel with all edges turned and then hand stitched in place. 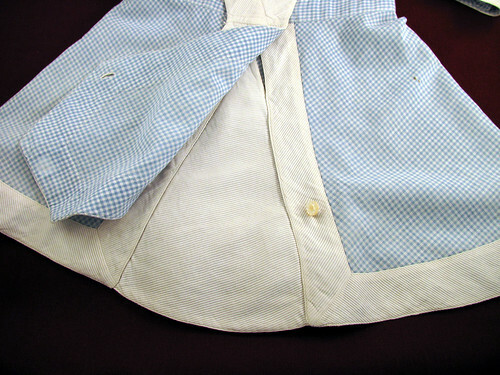 It is almost looks like an after thought since the the crossed panel held by only two buttons would have let the petticoat show. 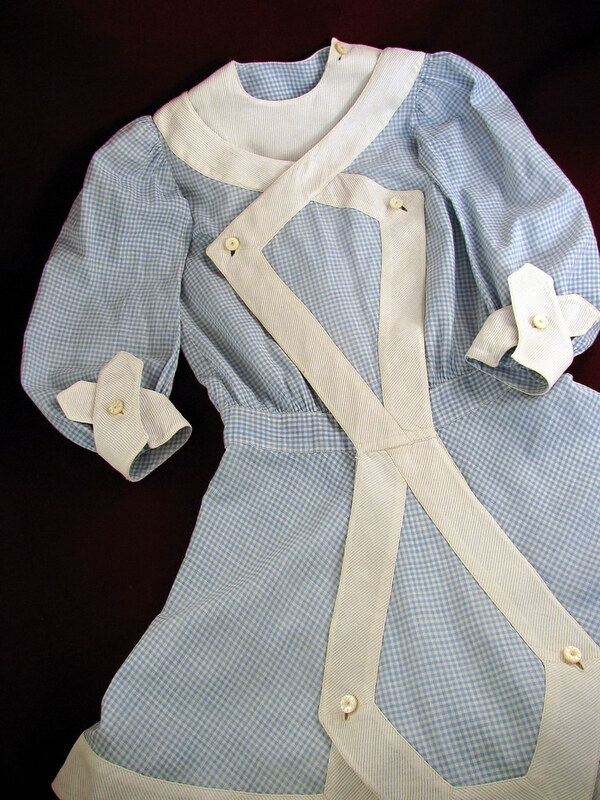 It is a really unusual little dress; one that belongs in a history book. 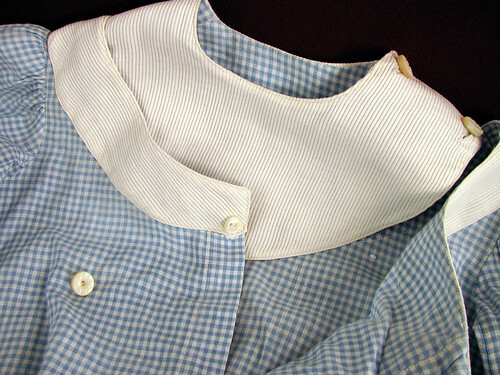 This entry was posted on Thursday, March 26th, 2009 at 3:00 am and is filed under Sewing and Vintage. Tagged: Clothing, Sewing, Vintage. You can feed this entry. You can leave a response, or trackback from your own site.